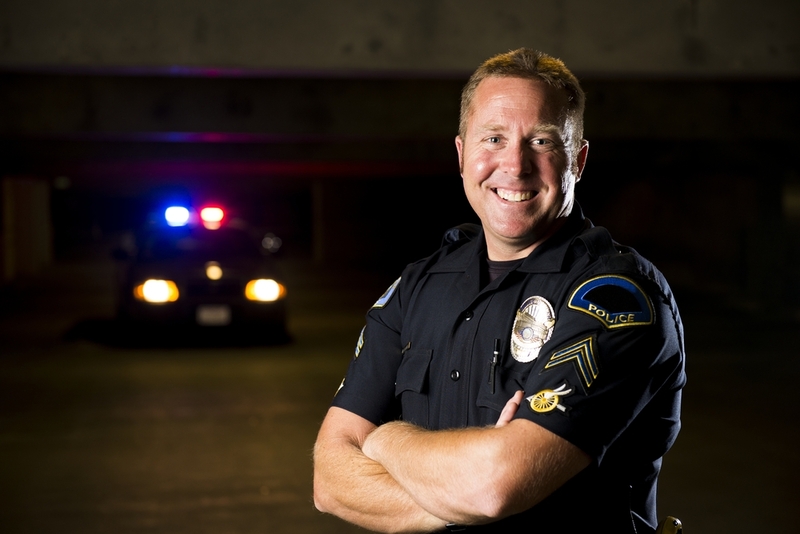 Jill R. asks: Why do police officers wear blue uniforms instead of some other color? Police services like the NYPD and the LAPD are bona fide pop culture staples that have been featured in countless movies and TV shows. Their distinctive blue uniform is known the world over, but have you ever stopped to think, “Well, why is it blue?” If so, wonder no more. It turns out, beyond some of the modern reasoning for continuing to do it, there initially was a very simple explanation as to why blue was chosen. For starters, why they keep the colour today- according to “The Psychological Influence of the Police Uniform“, the colour blue has several functions in relation to a police uniform, one of the main ones being that it is much easier to clean and maintain than a lighter/brighter colour and that it shows stains and marks less easily. Intuitively, this makes a lot of sense. If someone was thinking of buying 18,000 police uniforms, they’d probably want to buy the ones that were easiest to clean. Also, nobody would trust a police officer in a dirty uniform unless he was currently holding a kitten he’d just pulled from a fire or the like; decking officers out in a uniform that doesn’t show stains easily is just good common sense. Speaking of psychology, according to a study done at the University of Georgia on 98 test subjects (Color-emotion associations: Past Experience and Personal Preference), the colour blue subconsciously evokes feelings of comfort and security in most people, supposedly making it a good choice for people in a position of authority to wear. Now, we should point out that colour psychology, while currently being heavily researched particularly by marketers with compelling results, is not yet fully understood, so take that previous sentence with a pinch of salt (or perhaps a mug full). So up to this point, it’s really just been a matter of practicality and a bit of pseudoscience in terms of why police wear blue. But is that why police first started wearing these colours? It turns out there is a little more to it than that. As recorded in the History of the LAPD, when standardized uniforms became a thing for the police across America shortly after the mid-19th century, years after the first state wide law enforcement agency (now known as the Texas Rangers) had been established in 1835, many officers were simply given surplus (navy blue) Union army uniforms to wear. Conversely, over in the UK when the 1829 Metropolitan Police Act was brought into effect, essentially creating the country’s first proper paid police force, they made the deliberate choice to dress their officers in blue to contrast with the, then bright red uniforms worn by the British military. This choice was made almost entirely to distinguish the officers from military personal, and hopefully help make them look more like regular people on the street; it was also partially for this reason that initially, the police in the UK were unarmed. In fact, for a time the police in the UK were literally only given a rattle to call for help with and a wooden truncheon. Regardless of the initial reasoning behind the choice of the colour blue for uniforms, it stuck and as the uniforms in both respective countries were redesigned and made more comfortable and functional for officers as the years went on, the colour scheme has remained, for the most part, the same. As you’re probably aware, not all police officers in the states wear the traditional blue uniform you’d see on a beat cop in say, New York City. This is mostly due to the fact that historically each state was responsible for designing and implementing uniforms for its officers. As a result, not every state went with the “just chuck ’em in old Civil war uniforms approach“. In fact, initially, many police officers didn’t even want uniforms due to the fear it would make them a target of mob violence and ridicule. (Not surprisingly, many officers saw fit to arm themselves before guns became standard issue.) As an example of just how resistant to this change some law enforcement agencies were, the Orange County Sheriff’s office didn’t make a uniform compulsory for its officers until 1938. How Did “911″ Become The Emergency Call Number in North America? typo: the Metropolitan Police act was in 1829, not 1929. Created by Sir Robert Peel, from whose name comes both slang terms “Bobbies” and “Peelers” for police. Outside of Northern Ireland (which has a different history), Police in the UK remain unarmed unless on duty at possible terrorist targets. Curiously so are most criminals so there is an odd mutual survival pact going on. Sentences for armed criminals are substantially higher if caught. We at the Hillsborough County Sheriff’s Office wear white shirts. They are a pain to keep clean, but we have an excellent relationship the the community and professional appearance. The dark blue shirts many municipal agencies wear are almost so dark they look black, which although is a color of power, can be viewed as dominant and unforgiving. As far as the whole “easy target at night” explanation, there may be some truth to that, but when you add the lights and radios it really isn’t that big a difference. We have alternate uniformed people for those more tactical situations. What about the SBPD from Psych? Santa Barbra California is a real city in California. Most of the characters on Psych from the SBDP are Detectives, not uniformed officers. Police blue originated with the colour worn by the escorts of condemned men, who journeyed by cart from Ludgate Gaol to the Tyburn Tree (scaffold) in London. The authorities wanted a colour that was respectful and solemn but not morbid. Robert Peel, on the creation of the first police force adopted this colour since it had already embedded itself in the mindset of the citizenry of London as a symbol of respectful authority. LIGHT blue has been shown to be psychologically comforting… Dark blue is intimidating and makes the wearer feel powerful. I was a member of a police force that mandated white shirts as the patrol uniform. When working mids. my partner and I carried black shirts to wear on calls where the suspect was reported armed. We could have been fired for being out of uniform, but at least we would have been alive. Thankfully that department has conformed with the majority of PDs and now issue blue uniforms. Nothing makes an officer feel more vulnerable than searching a dark area when your attire gives all the advantage to the criminal. This guy is under the impression that “police” is synonymous with “male” and only “boys in blue” are police. I think thats kinda gay.